Cory Gregory's Two-Step Plan To Granite Abs! Endless reps of endless exercises won't build the abs you crave. Follow this routine of classic moves until you own it, then take it to the next level. 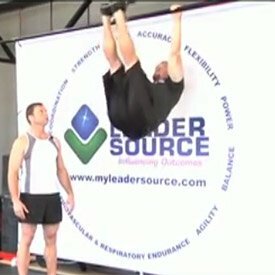 This is all the core training you'll need for years! When I started my fitness journey in 1999, I gave myself two clear goals: own a gym, and be on the cover of fitness magazines. While both are in the same general spectrum, achieving them is vastly different in a number of ways. But both started with a clear vision. If you want to know what my vision of a gym was, all you need to do is look around Old School Gym, the facility I opened in 2003. It's exactly what I wanted, and I've built my own best-ever physique there—and helped plenty of other athletes do the same. My vision of a magazine wasn't quite so vivid, but certain parts of the photo were in crystal-clear focus. If I wanted to be on the cover of any fitness magazine, I knew I sure as hell needed great—not just good, but great—abs. It was absolutely a must that they stand out as the centerpiece of the layout. I visualized myself on a magazine cover with deep grooves in my stomach, giving off an almost granite look. Back then, I would always joke about one day needing a hammer to sculpt a set of abs, emphasizing the thick look I was after. Now, when I say "thick abs," don't get that confused with a bloated midsection. I still wanted to be lean and ripped with a small waist, much like the bodybuilders from the golden era. But if I could create a thickness in my abs that really made them pop, it would be the best of both worlds. It didn't happen overnight, but I eventually got those cover-ready abs. Here's the exact plan I used to build them! Train your #ABS to be Thick! Ab wheels-Weighted Crunches-Toes2Bars- I always think to myself I wanna make them look like they are carved outta granite. We've all seen plenty of people using high reps and no weight to train abs, but I knew right away that this wasn't the path to go down. 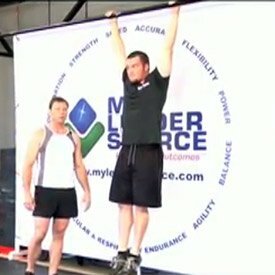 Sure, I needed to pound the reps, but unless I used weight or some sort of resistance, I knew I could never achieve the thickness and look I was after. Think of it this way: If you want big biceps, you don't simply pump your arms 300 times with nothing in your hand and expect them to grow. You may find yourself on a YouTube fail video, but good luck getting big arms. If you want your arms to grow, a dumbbell or barbell—preferably a heavy one—is an absolute must. I took the same approach with my abs from day one when I set the goal of being on a magazine cover. And while my implement of choice wasn't a "weight," it definitely felt like one. I started off with the dreaded—and underappreciated—ab wheel, which by itself can build an extremely strong-looking stomach if used properly. I remember my mom doing these with a rolling pin and using great form, and that image has stuck with me ever since. Then I added in knee-ups, which progressed to weighted knee-ups and continuously harder variations. 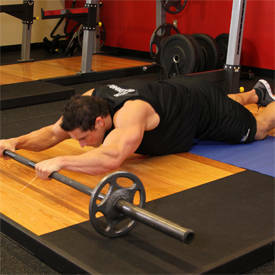 After that, I turned to heavy rope pull-downs, giving me a solid base from which to begin. That was my beginning routine, but there was one element missing. My lower back often gave me trouble, and I now know it's because I didn't add in any lower-back work to balance out all the ab work I was doing. Add in some back extensions, and the result is the following ab routine that finally helped me dial in my abs for the first time. Perform these four exercises as a circuit, and do it at least 3-5 times per week. Stick with it long enough to get to the point that you could nail these reps any day of the week if you wanted to. You don't have to do it every day, but you should feel like you could. By then, you'll have seen some noticeable changes and will be ready to move on to something even more challenging. After I mastered that workout and my diet, the years flew by and the magazine covers started rolling in. I was very pleased with the shape my abs started to take, and my program grew along with them. I could definitely notice thickness, but over time, I kept adjusting my training to make sure those deep grooves in my abs really stood out when it was time to get in front of the camera. This is the plan I still use to this day, and it's worked well for a long time. I've added weighted crunches, placing the weight behind my head, and advanced past knee-ups to weighted toes-to-bar to really bring out my lower abs. I perform this workout 3-5 times a week in the morning, then finish off with more weighted crunches before bed. "I perform this workout 3-5 times a week in the morning, then finish off with more weighted crunches before bed." Building—and then maintaining—awesome abs isn't rocket science. It's just hard work that you have to learn to do almost without thinking. If you want deep, thick grooves in a ripped set of abs, giving you that sculpted-from-stone look, this is how you do it. I get a massive pump in my abs when I do this workout. That's how I know it's working. Give it a try, take it seriously, and build your own granite midsection.